Taapsee Pannu and Amitabh Bachchan starrer in the film ‘Badla’ has become a hit at the box office. The film scored very well in its second weekend as it collected over Rs 18 crore, reported BoxOfficeIndia.com. After ‘Uri: The Surgical Strike’ and ‘Total Dhamaal’, it is the third best movie of the year in the second weekend. The collections are even better than ‘gully Boy’ which did well in the same olaces as ‘Badla’. Mumbai circuit has crossed Rs 20 crore for ‘Badla’ and the film is also doing good in the mysore circult and West Bengal. 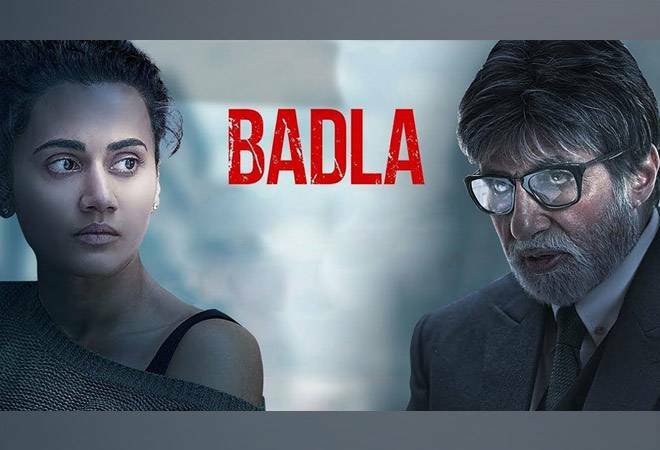 The film ‘Badla’ started its second collection with Rs 3.75 crore on day eight and Rs 6.5 crore on Saturday. It closed the second weekend with Rs 8 crore on Sunday, which leads to total of Rs 18.25 crore. The film had collected Rs 37.79 crore in its first week. It has now collected a total of Rs 56.04 crore in 10 days at the box office. In Ghosh’s intense thriller, Bachchan plays the role of Taapsee Pannu’s lawyer, Badal Gupta. Taapsee is accused of killing the man she had an affair with.